EVolo’s towering ‘Skyscrapers’ book, which quickly sold out, is now available for special order until May 31st. 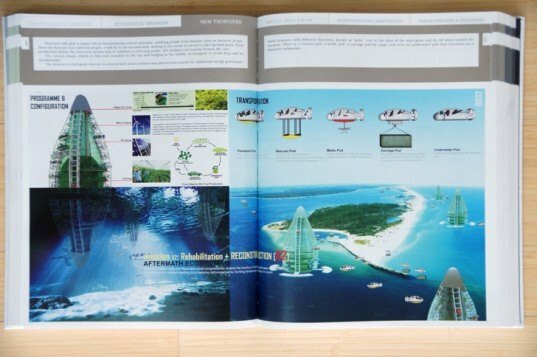 If you’re an aficionado of futurism in building design, then this decisive book on one of the environment’s largest scale human interfaces — the skyscraper — is a must for your collection. EVOLO SKYSCRAPERS spans six chapters, with a hefty 1,224 pages, and contains a selection of 300 of the best projects from their annual skyscaper competition. 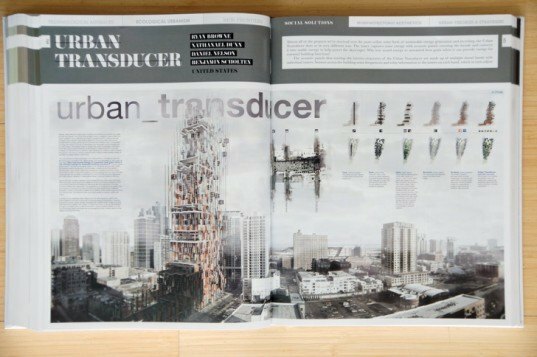 The book is broken in to six sections which broadly cover the design missions of various proposals including: Technological Advances, Ecological Urbanism, New Frontiers, Social Solutions, Morphotectonic Aesthetics, and Urban Theories and Strategies. Each chapter is filled with often beautiful, and sometimes jarring ideas and images of what our world could look like. The depth and breadth of the book is like a reference manual to the future, where anything can seemingly happen. But its the level of effort the submissions took to re-visualize the built environment that surprised me. The book sells for $120 and is available for special order only until May 31, 2012, so this might be your last chance to get the definitive volume on the future of the skyscaper. EVolo's towering 'Skyscrapers' book, which quickly sold out, is now available for special order until May 31st. If you’re an aficionado of futurism in building design, then this decisive book on one of the environment's largest scale human interfaces -- the skyscraper -- is a must for your collection. 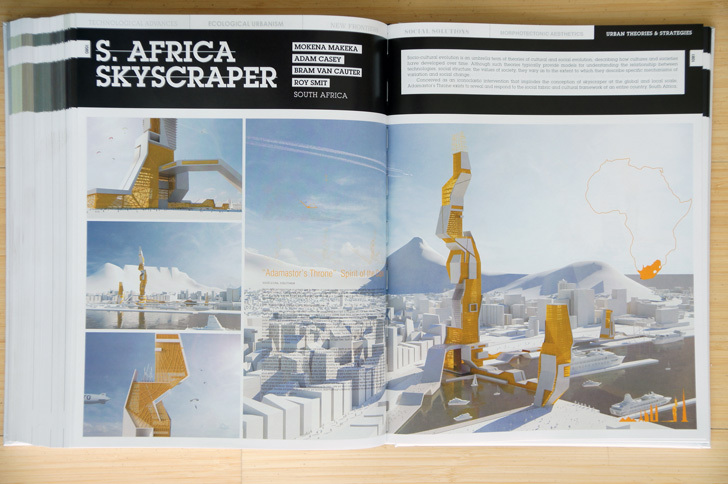 EVOLO SKYSCRAPERS spans six chapters, with a hefty 1,224 pages, and contains a selection of 300 of the best projects from their annual skyscaper competition.